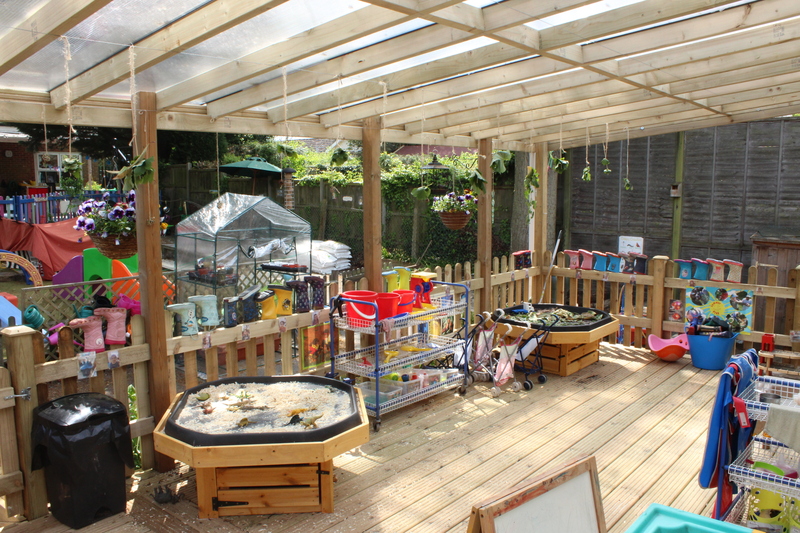 Formerly named Blue Bird Nursery Centre, it was set up in 2003 to establish a private nursery in the grounds of Nine Mile Ride School catering for children aged 3 months to 5 years and is now part of the Complete Childcare Group of nurseries. The setting is open for 51 weeks a year from 8am to 6pm and offers places on a full time or part time basis as well as term time sessions. 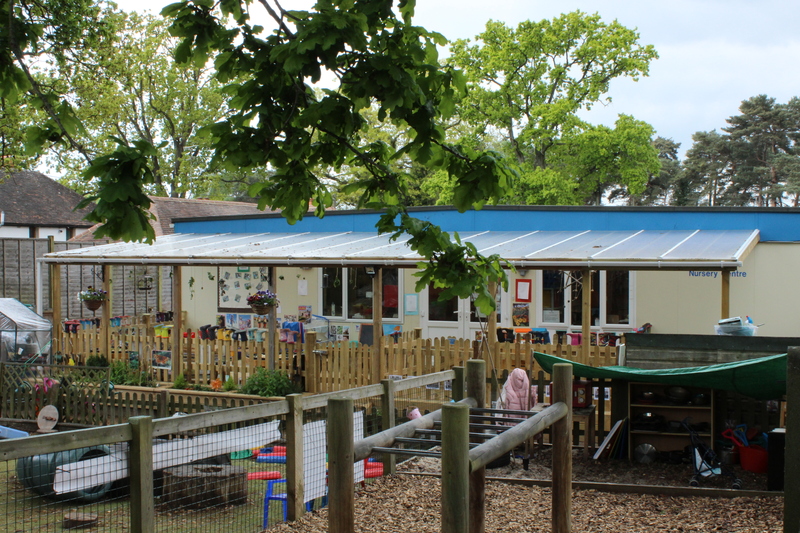 The nursery operates from a large single story modular building in the grounds of Nine Mile Ride School. The nursery has two large rooms. 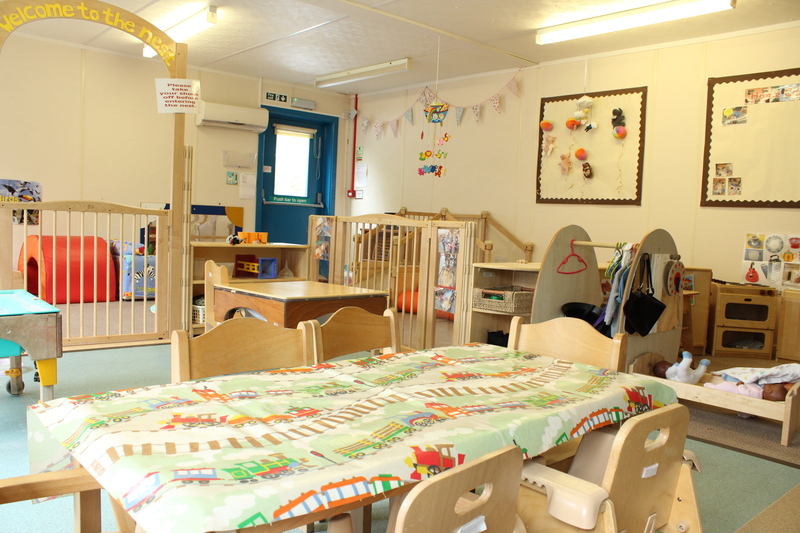 The Sunshine Room is for up to 18 children aged 3 months to 3 years and the Rainbow Room for is for up to 36 children aged 3 years and upwards. Both have access to individual outdoor play areas. The room transition normally takes place around the age of 36 months although this is flexible. We deliver both the Universal Entitlement & Extended Entitlement each day within the hours of 9:30am to 4:00pm. We work closely with parents to create and maintain a positive partnership based on trust and mutual respect. We ensure that parents are informed at all stages of the assessment, planning, provision and review of their children’s education. Key Persons have daily discussions with parents or use the ‘Home Nursery Diary’, as well as email, phone, and termly parent consultation meetings. We involve parents/carers in discussions with the SENCo and outside professionals, sharing any relevant paperwork such as reports, observations, assessments and Individual Learning Plans. We have access to local authority advice and support, including being able to apply for additional funding for targeted support and resources. We liaise closely with involved professionals and/ or settings in consultation with parents. The SENCo attends termly network meetings to keep their knowledge and skills up to date; this information is then shared with other staff at team meetings. Further courses such as behaviour training, equality, diversity and inclusion training, communication and language training have been attended by other staff members. Some staff members have attended training linked to specific needs of children who attend the nursery. There will be regular discussions with the Key Person/SENCo/other professionals using shared observations of the child’s progress both at home and within the nursery. Observations and assessments are located in the child’s individual learning record which is available to look at and take home at any time. Once a term a summary of learning and development grid is completed with parents/carers. This maps the child’s chronological age to a developmental stage within the areas of learning and development of the EYFS. We will also use the Early Support Journal which breaks down the developmental stages into smaller specific steps. The Speech and Language Tracker based on the ECAT (Every Child a Talker) programme is used to plot children’s progress in all aspects of their speech and language development. The Progress Check at Two details a child’s progress specifically in the following areas: Personal, Social and Emotional Development, Physical Development and Communication and Language. It also outlines how children learn using the Characteristics of Effective Learning which are part of the EYFS. This report is compiled with parents and shared with the Health Visitor in conjunction with the Two-year-old Health Check. Our observations and monitoring systems enable us to plan with parents/carers for their child’s future care, learning and development. There is a public car park adjacent to the building with a paved ramped area that leads to the double door entrance with a small threshold ridge of approximately 2cm. The internal area is open plan. There are shallow steps that lead to the outdoor area in the Sunshine Room. A nappy changing unit is available in both the Rainbow Room and the Sunshine Room. There is an accessible toilet in the lobby and internal doors from there to both classrooms.